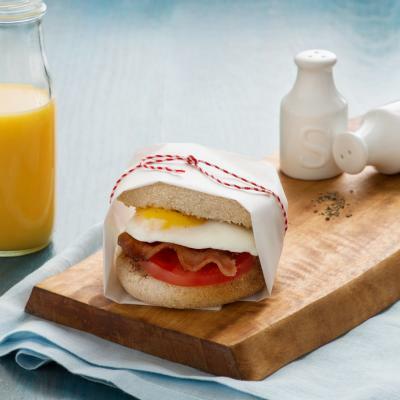 For busy mornings, wrap this healthy and satisfying sandwich with parchment or waxed paper, so you can take it on the go. Whisk together eggs, salt and pepper. In non-stick skillet, heat oil over medium-low heat; pour in egg mixture. 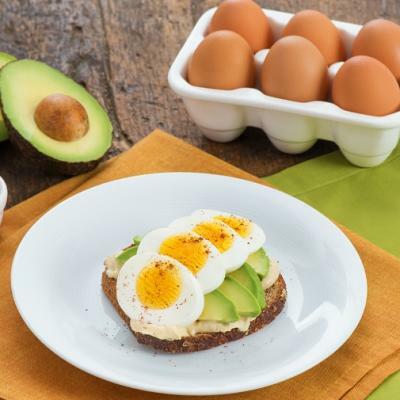 Cook, stirring constantly, until eggs are creamy and softly set, approximately 5 minutes. Toss together avocado, lime juice, and pinch each of the salt and pepper. 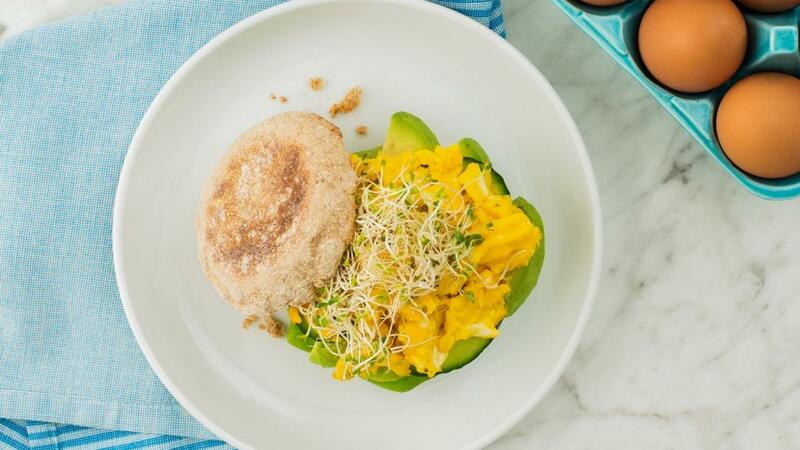 Layer lettuce, avocado, cucumber, scrambled eggs and sprouts over bottom halves of English muffins. Cap with top halves of muffins. Alfalfa sprouts are widely known, but try others, such as hemp, radish, or pea sprouts. 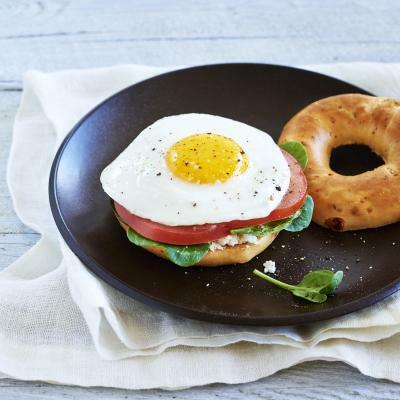 Add a drizzle of your favourite hot sauce for a little spice to your morning sandwich.